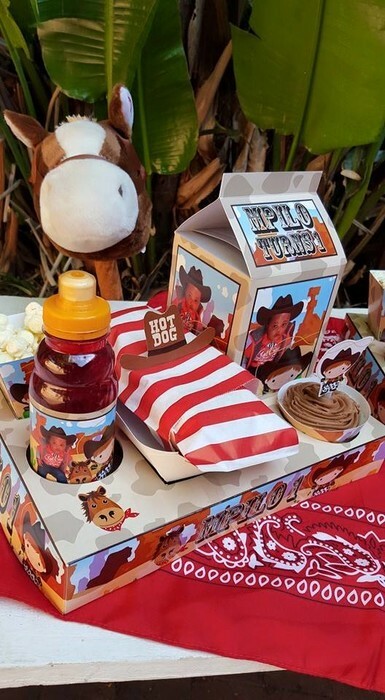 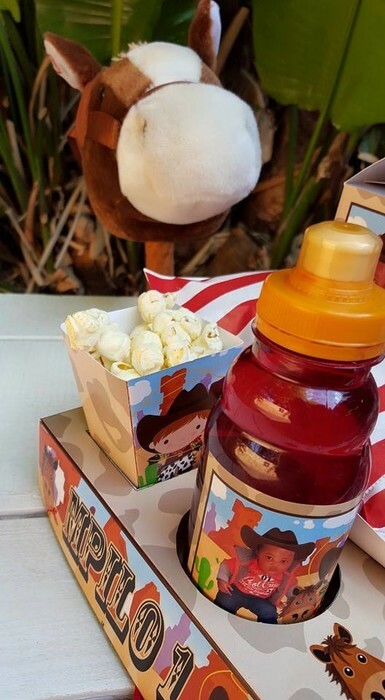 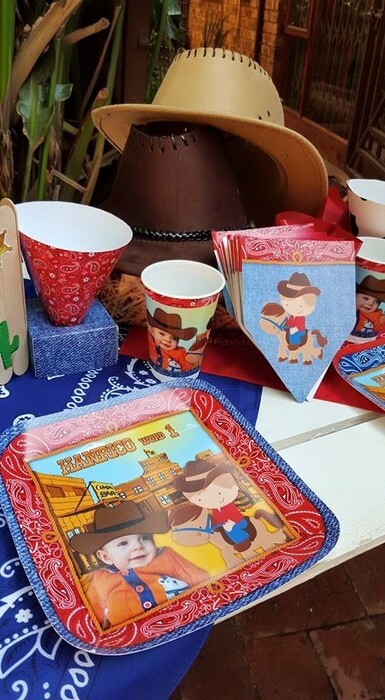 Remember that we can make all of our products in the Cowboy party theme as we manufacture all our products on order. 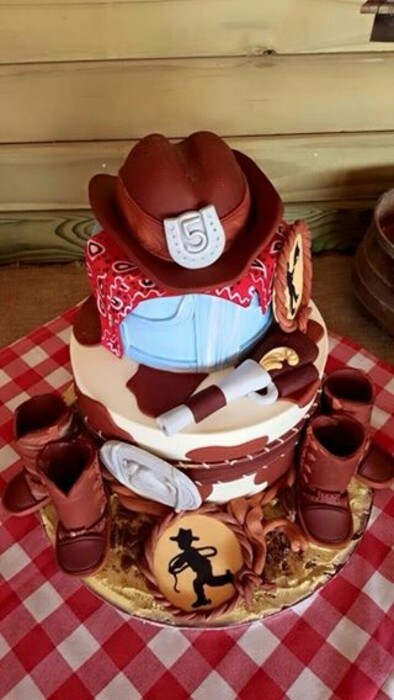 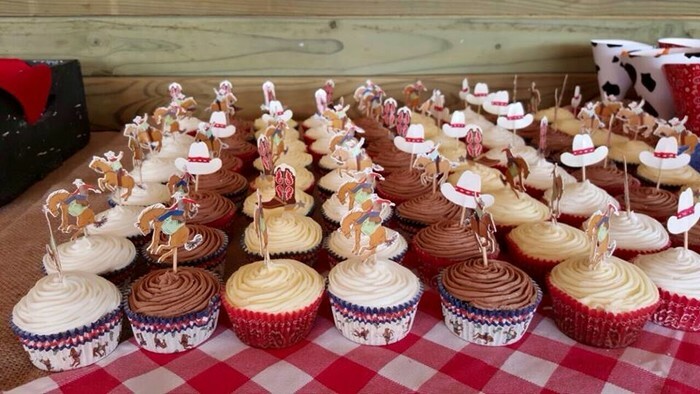 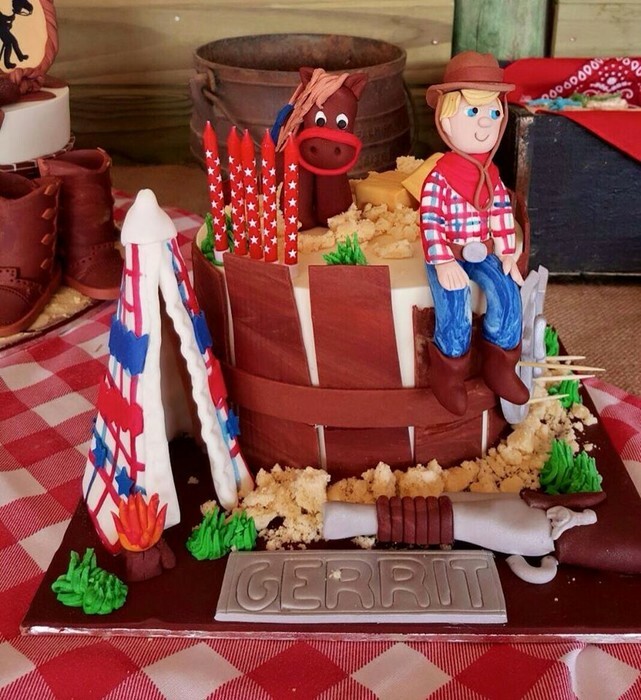 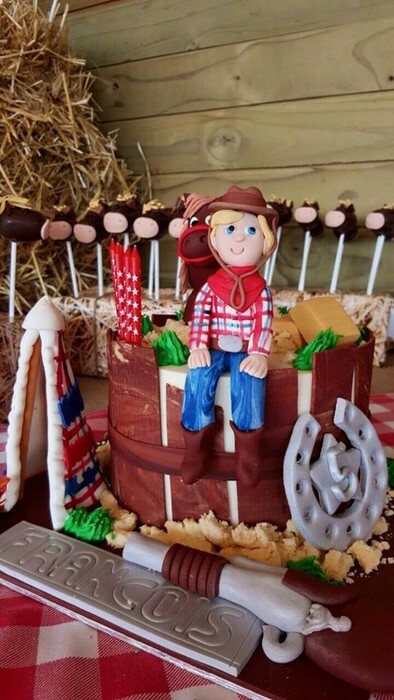 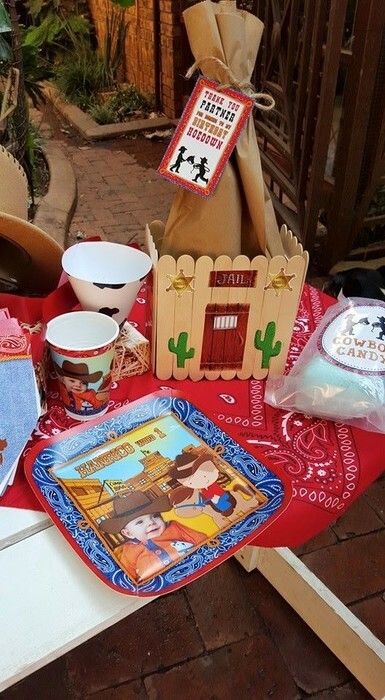 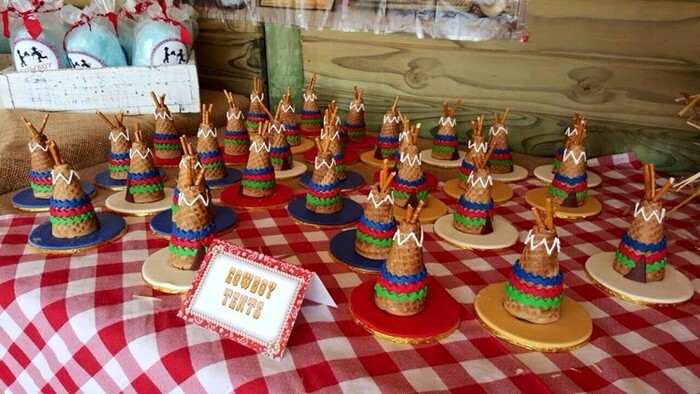 We can do absolutely any Cowboy theme you have in mind as we custom design all our party themes in-house. 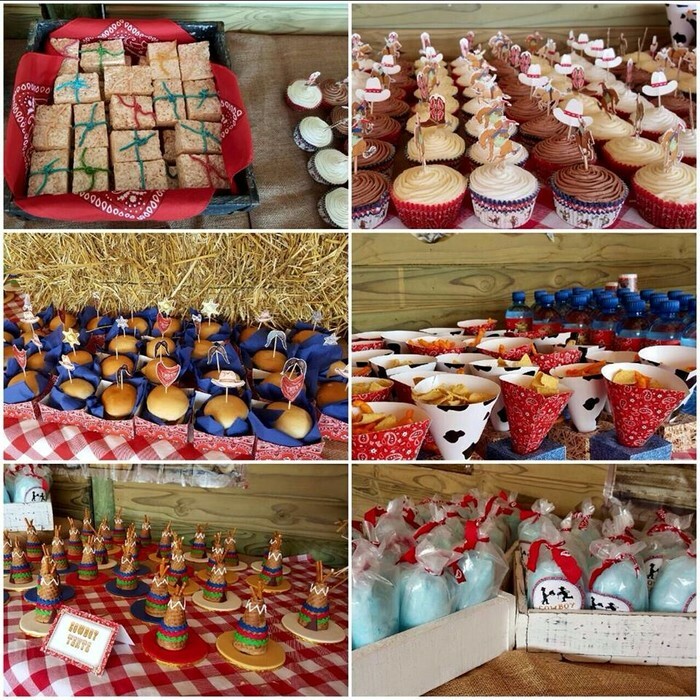 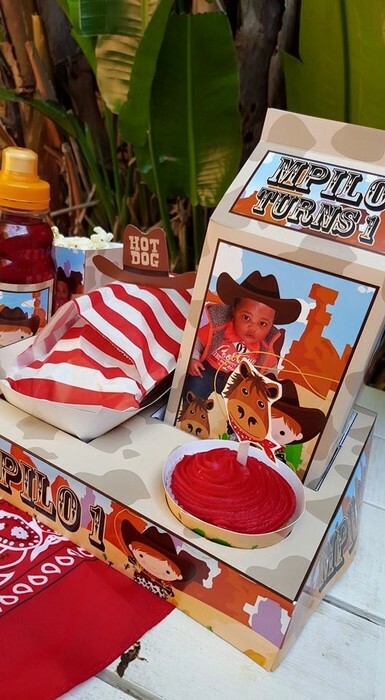 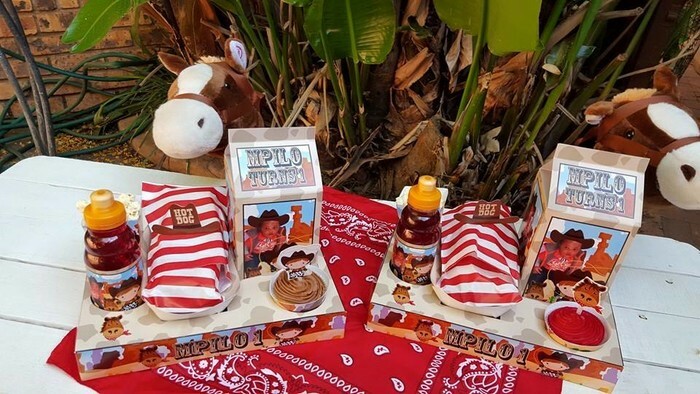 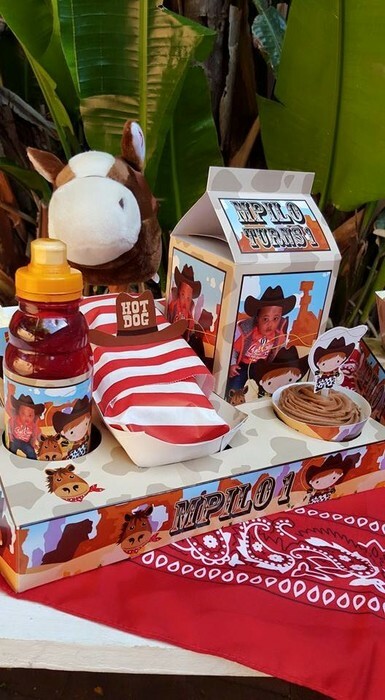 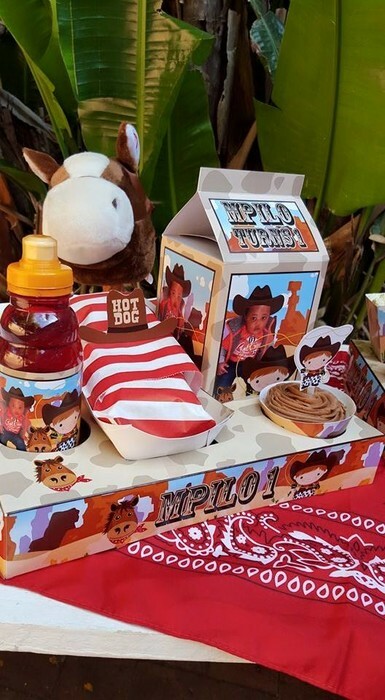 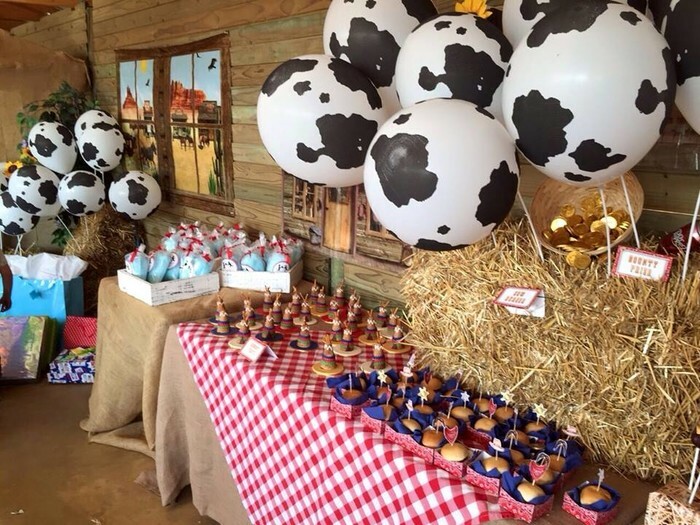 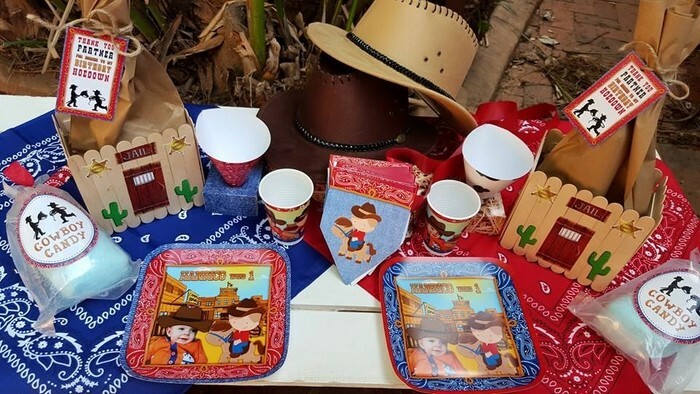 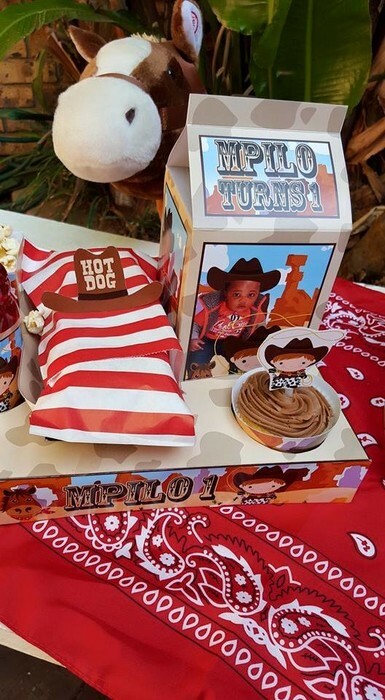 Delmas, Mpumalanga was turned into the Wild West for Hanrico's 1st birthday party with these amazing cowboy party decor. 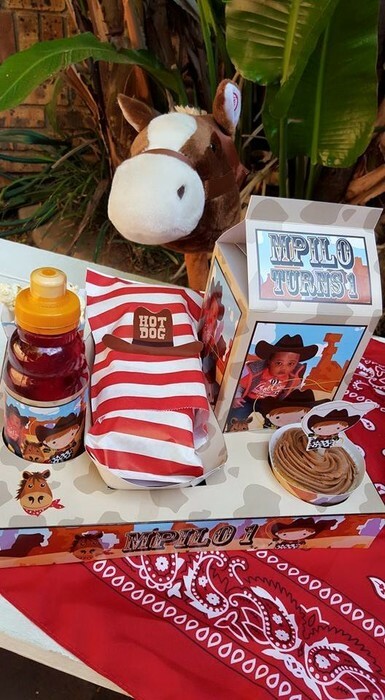 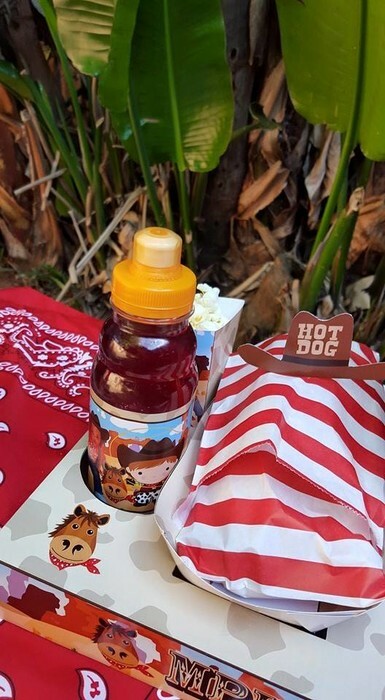 We made some very special party packs for little Hanrico. 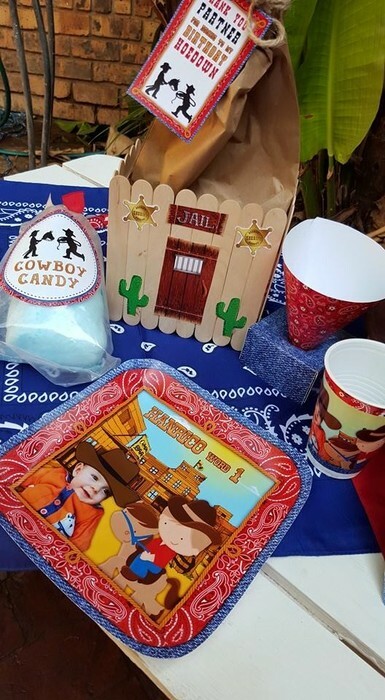 His Jail party packs with a "bag-o-gold" inside were filled with sweets and toys. 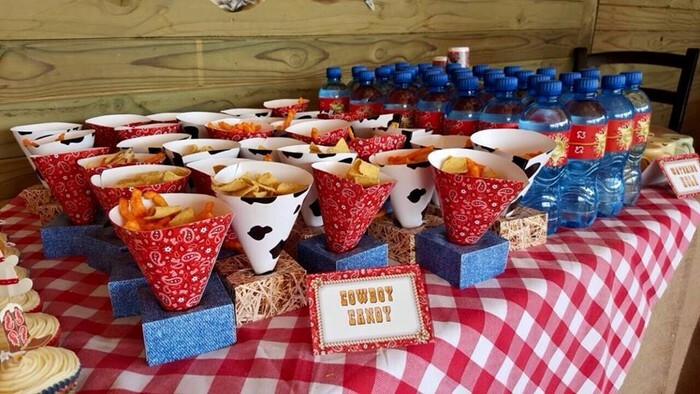 We also made him his very own party plates, cups, chip cones, candy floss and flag bunting. 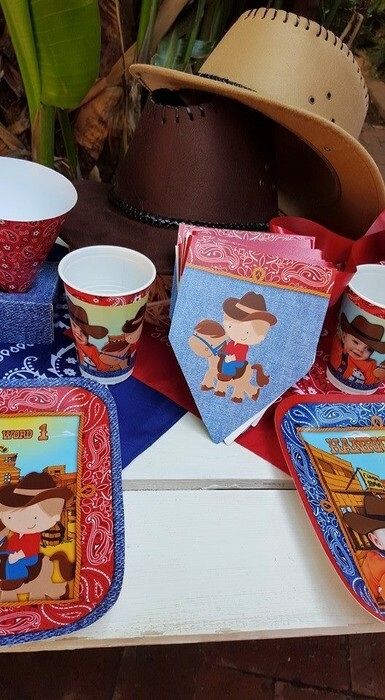 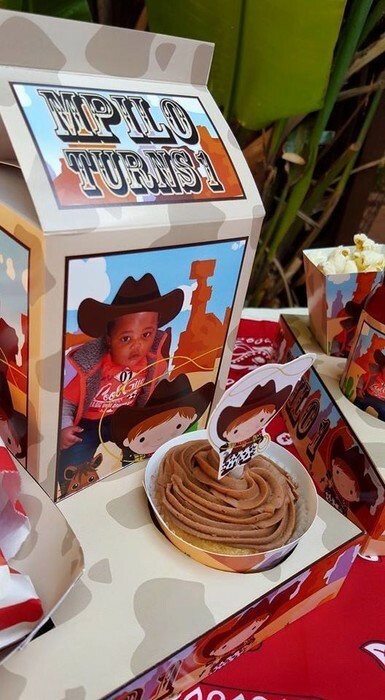 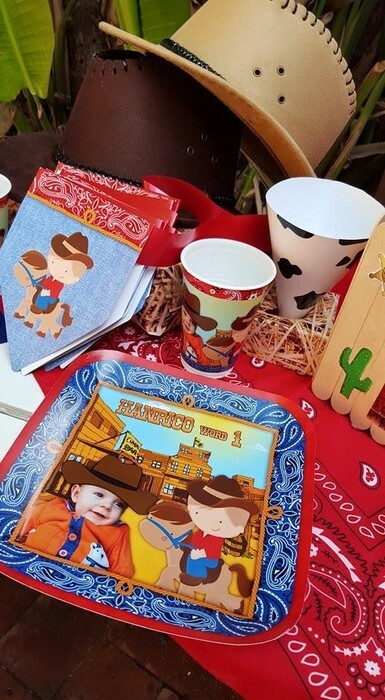 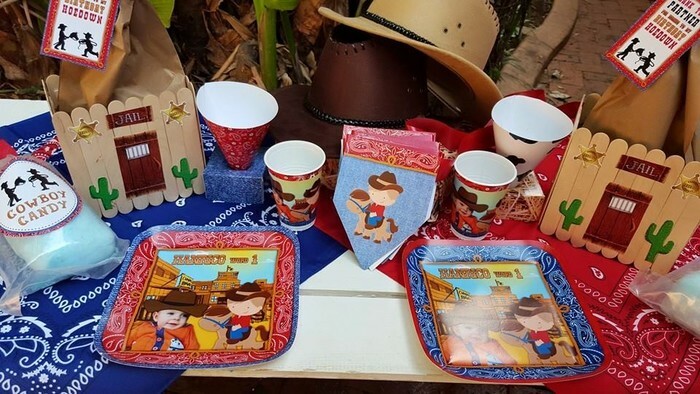 Apart from the personalized party decor ,we also supplied the cowboy hats and cowboy bandanas for his party.